It's my first mod ever. 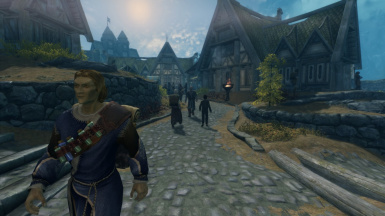 but i have tested it with 250 popular mods in my own game and works fine. it just changes the outfit and leveled list, so you just patch it with wyre bash and it's okay. it also safe to uninstall since it doesn't have any script. 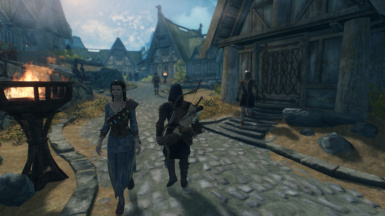 I just dont understand why i'm the only one who can use backpack, i mean many NPCs traveling around Skyrim but no one using backpack. No preparation for the journey. 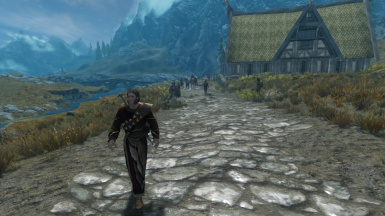 the NPCs didnt have backpack that can be used for put foods, drinks, gold, and other stuff in their backpack. for me, it breaks immersion and non sense. 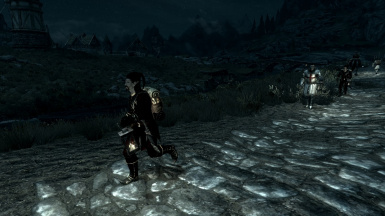 so, i give those poor NPCs the Backpack like FrankDema Travel BackPack and Big Leather Backpack to travel around Skyrim. at least they will survive and hopefully give immersion. 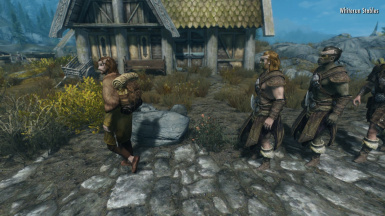 Same as above, I give those poor NPCs like Bandolier - Bags and Pouches in Skyrim. but i just added 1 type of bandolier, there is Vial Belt. Why ? 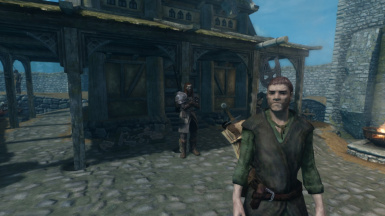 i just dont understand, where the NPCs put their potions and poisons ? 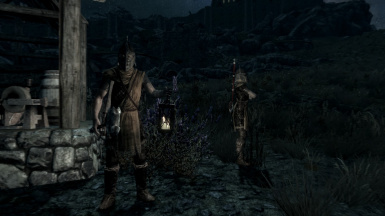 Seriously, if i was the NPC, maybe i would keep the potions and poisons in both my hands, then die when battle with bandits. it breaks immersion for me. 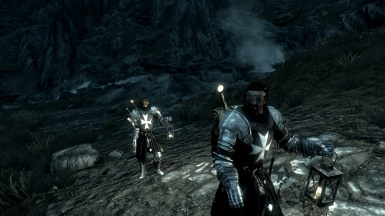 You know, I just dont understand.. again.. Where is the bandages for those NPCs ??? I mean, we are in the middle of WARS and DRAGONS, but No one using bandage, except in the temple ??? 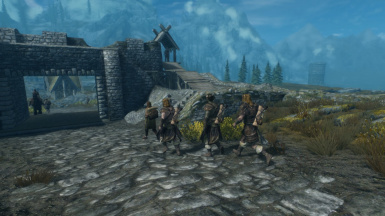 You can see everywhere always battle with animals, bandits, stromcloaks/imperial, dragons, forsworn, ghost, and many more.. whatever.. 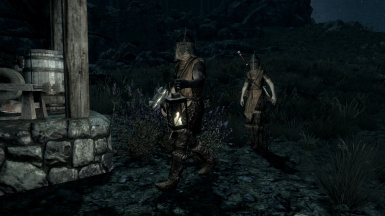 So I give those poor NPCs.. again.. the bandage for them. 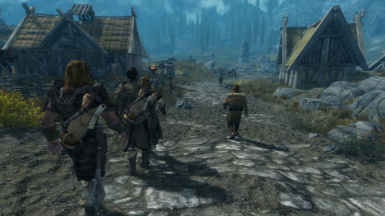 you will see the NPCs wearing bandage because Skyrim is the World of Battle and so many Injuries here. Yeah I know. I can't use lantern. I can't use lantern. So neither the NPCs. No one can use lantern. I'm bored using torch. I mean if I can use lantern, Why i used torch. I prefer use lantern than torch, but i can't use it. 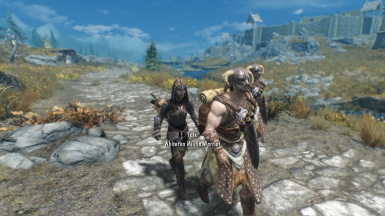 So the easiest solution for this problem, for me and NPCs is... 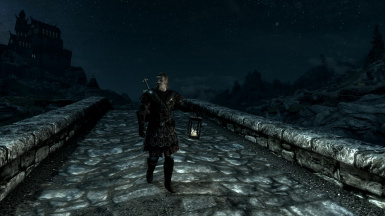 I replace torch with Usable Lantern. Hell yeah No one can use torch again, but everyone can use lantern NOW.. you still can see torch in cave, dungeon, etc.